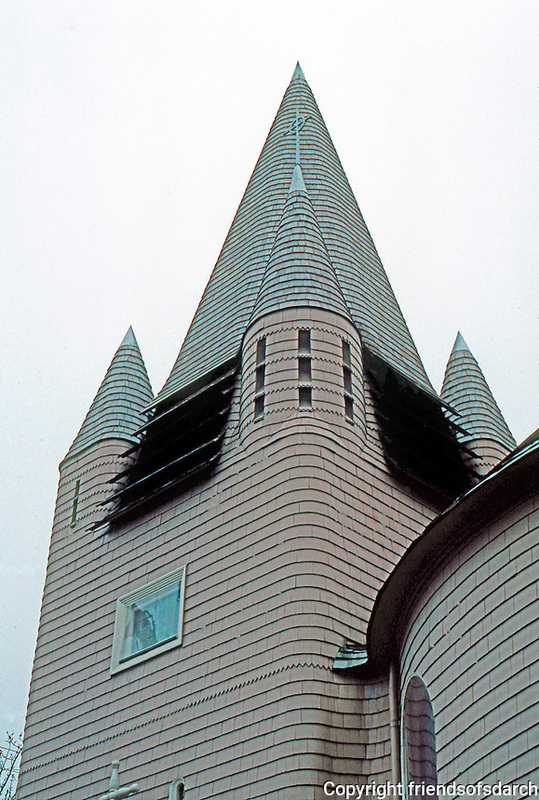 St. John's Episcopal Church, Petaluma CA--Spire. Ernest Coxhead, 1890. Photo '83.